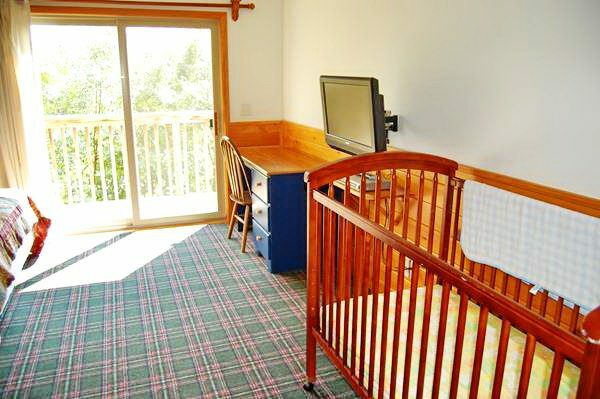 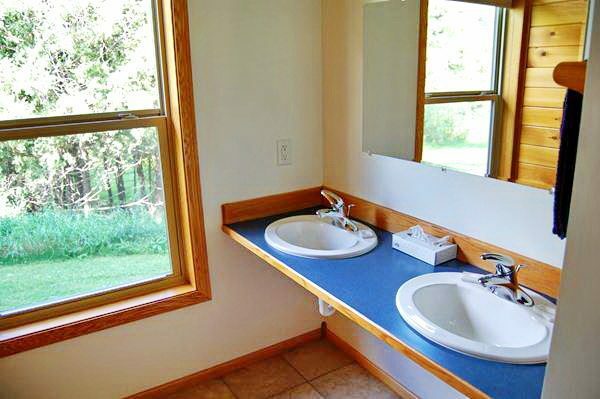 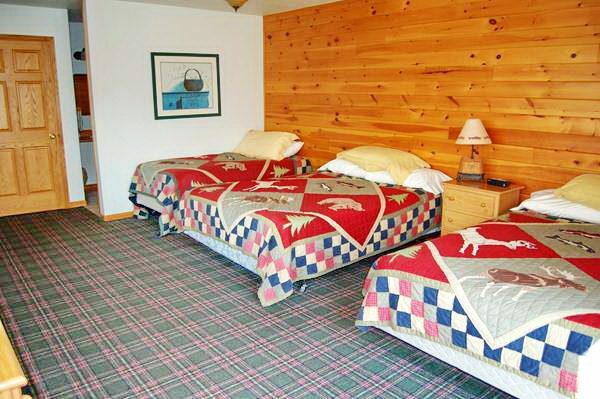 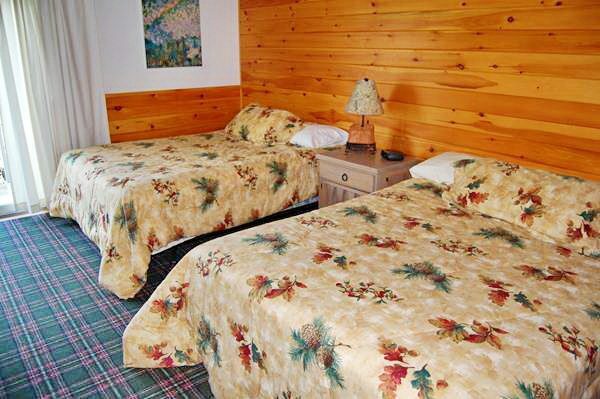 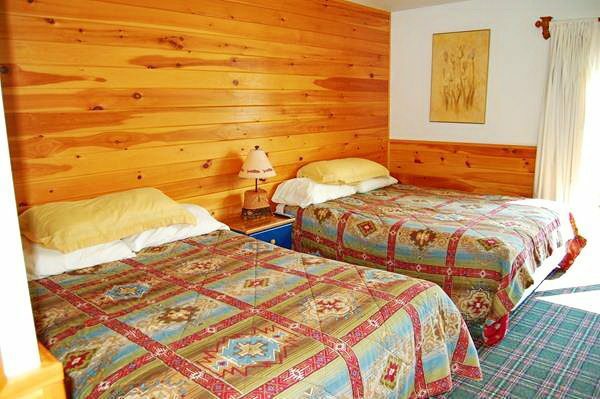 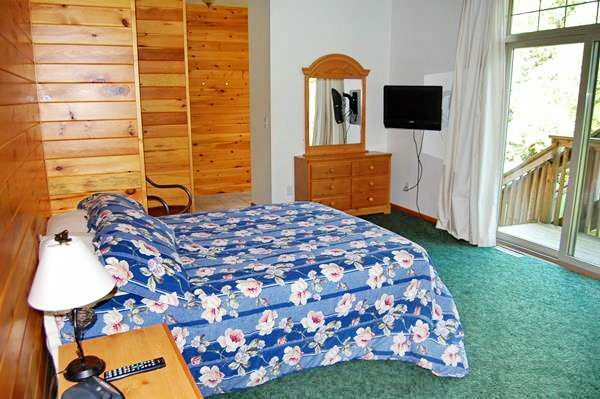 Wedgewood Lodge is the largest of our lodges and cabins. 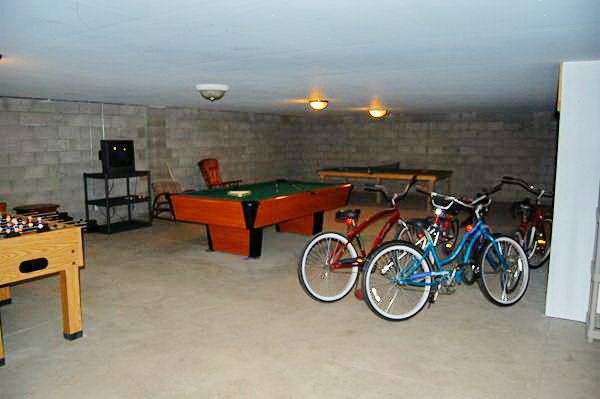 It features seven bedrooms and five and a half bathrooms (one handicap accessible) on two levels with a basement gameroom. 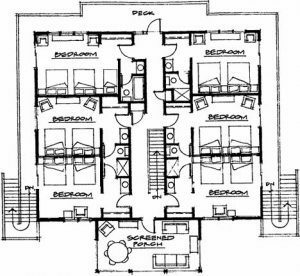 Each level has about 2,000 square feet. 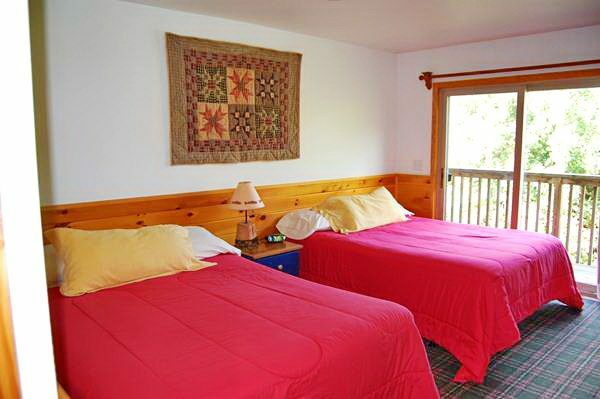 Wedgewood Lodge includes a private beach front area and dock, A/C, TVs, DVDs, laundry and fire ring. 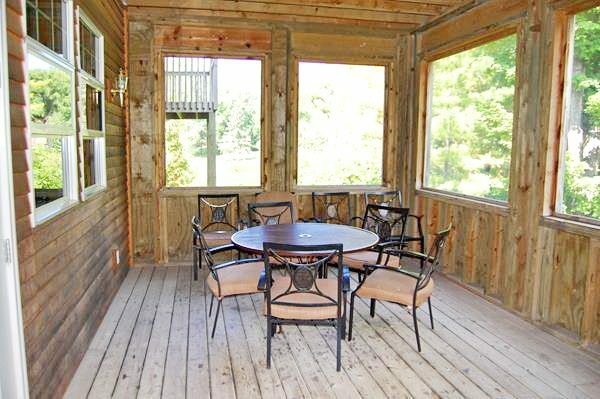 The views of Lake Minnewaska are fantastic. 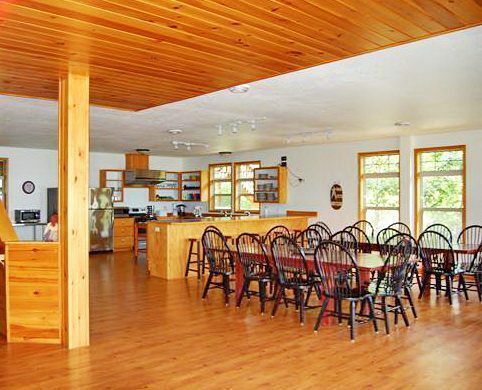 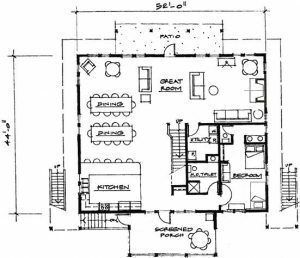 Wedgewood Lodge features a large central dining area for 20+ people and a spacious kitchen area. 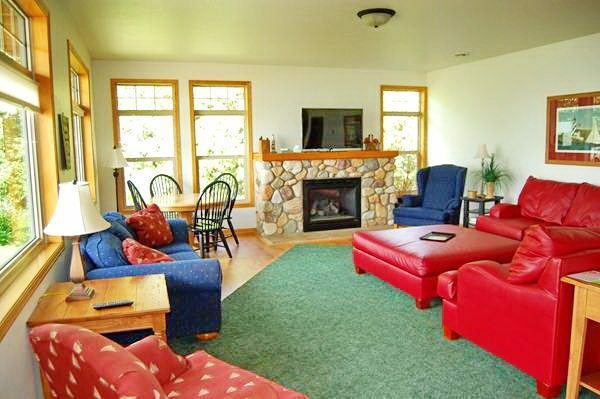 It is great for family and friends to get together. 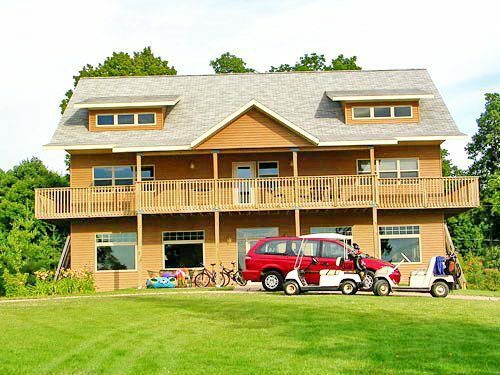 Wedgewood Lodge is on Lake Minnewaska and near the first tee of the golf course. 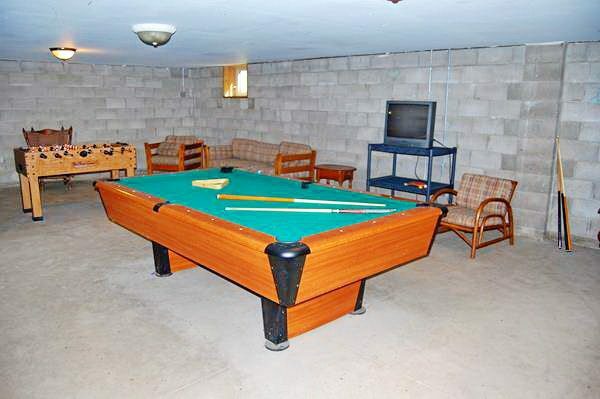 The basement game room includes ping pong, pool table and TV, plus storage space for golf clubs and water toys.